← Yeah, babe – it’s cold outside! My mother had a chocolate shop in Germany before she retired. 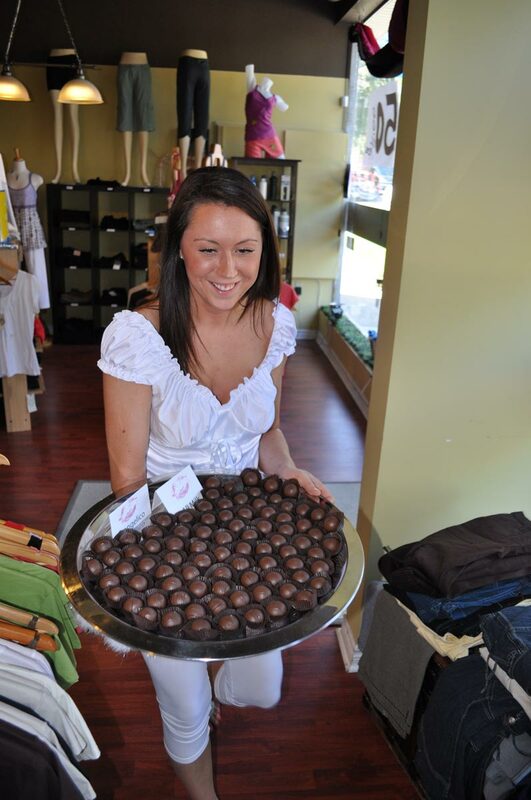 Growing up, we were spoiled with plenty of good European chocolates, delicious truffles and melt-in-your-mouth pralines. This upbringing made me a bit of a chocolate snob. I turn up my nose at ordinary chocolate bars – only the finest will do for me! Oh, how I love tasting the different flavours – Grand Marnier in white chocolate, Cognac truffle wrapped in dark chocolate or noisette with a hint of coconut. Dark chocolate bars with a touch of chili pepper to spice it up or milk chocolate bars with crunchy hazelnuts inside, I enjoy it all. So when I heard about the Chocolate Race in the quaint town of Port Dalhousie, Ontario, I knew I had to do it. Imagine someone presenting you with a tray of chocolates along the race course instead of with the typical gel packs, granola bars, banana pieces or orange slices. And then picture crossing the finish line after a 5 km, 10 km or 16 km run, receiving a funky finisher medal, and then heading straight to the Chocolate Fest in scenic Port Dalhousie. Unless you leave the chocolate tasting for the end, this may not be the race to get a new PB, but it sure is one where one can have a lot of fun! The creative race director, Dirty Di of Dirty Runner Productions, will ensure this is not just your ordinary race experience. Her cool finisher tech shirts, the neat medals, doing the wave and dancing at the start line and the delicious chocolates along the scenic course and in the finish area will make this a rather special event. And while indulging yourself (guilt-free, as you’ll be running it off), you can also contribute to making a difference in the lives of others! Love4Gambia is the official charity of the 2012 Chocolate Race. 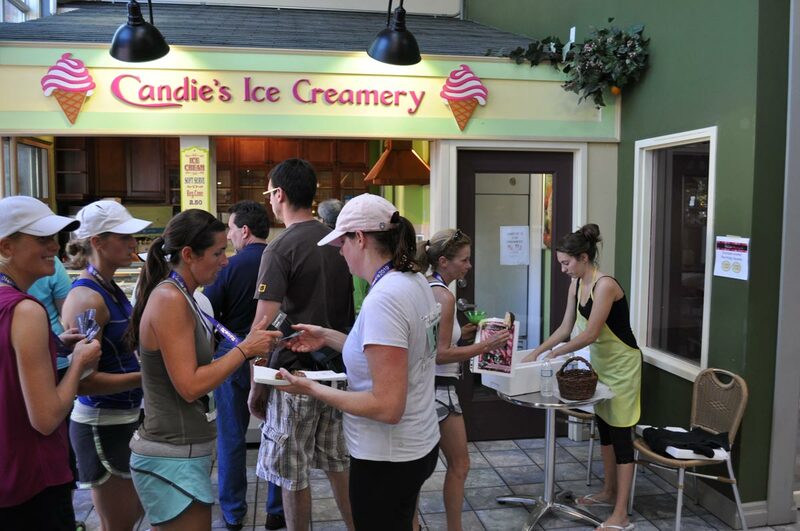 Candies Ice Creamery is Part of the Fun, too! Anyone who participates in the race can become a member of Team Love4Gambia by raising funds for health education programs that will keep kids alive and communities strong in West Africa. Team members who raise $100 or more will receive a tech Team Love4Gambia shirt and have a chance to win prizes. But more importantly, you will help us fight HIV/AIDS and malaria through peer education programs, radio programming, interactive community presentations and other education programs that not only keep kids healthy, but also teach them valuable leadership skills. To learn more or to see how you can join Team Love4Gambia at the Chocolate Race, click here. 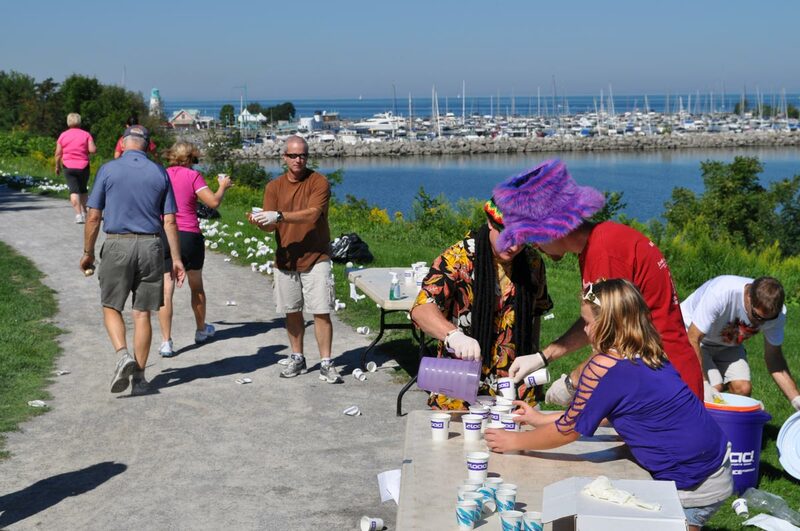 Hope to see you in scenic Port Dalhousie in the Niagara Region on April 29 as a member of Team Love4Gambia! This entry was posted in Charity Team and tagged charity run, Charity Team, Chocolate, Chocolate Fest, fitness, Fun, Fundraising, Niagara Region, Port Dalhousie, Truffles. Bookmark the permalink.